The Lance has been the research vessel of the Norwegian Polar Institute. It is her last year as she will be replaced by a new ship. Today, Lance docks in the harbour. It will be one of the very last times. The new vessel RV Kornprins Haakon has arrived in Norway and this autumn she will come to the Arctic. It has icebreaker capacity and is 100 meter long and 21 meter wide. 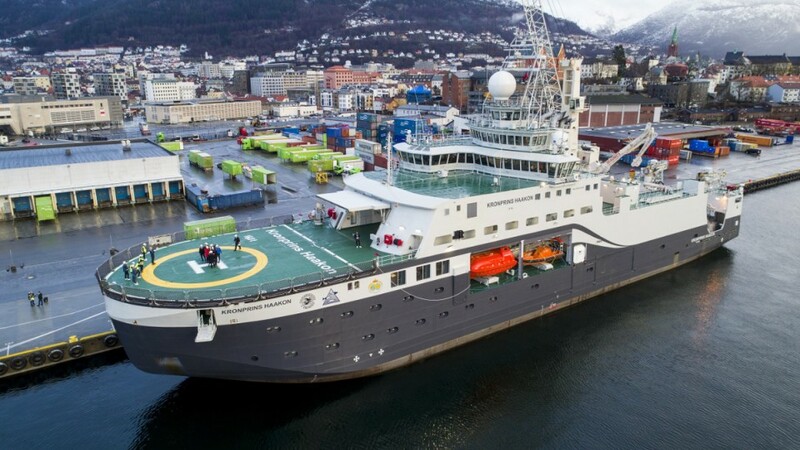 The first project will be the Nansen Legacy and she will study the ice edge of the Arctic.